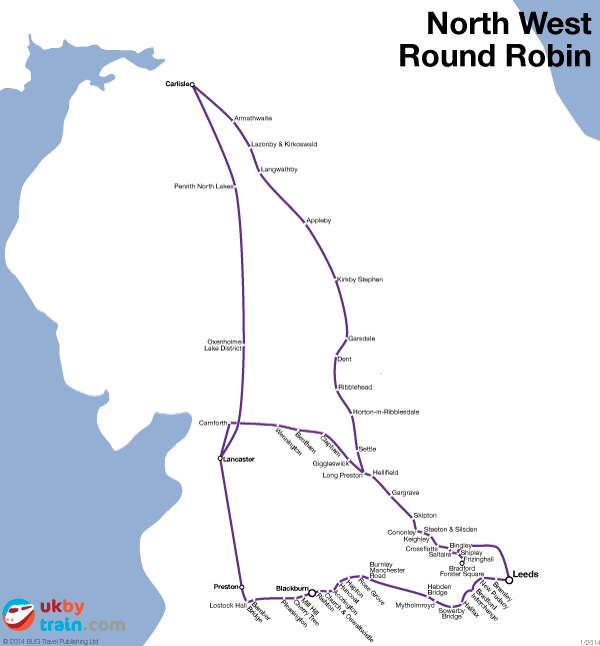 The North West Round Robin is a ranger ticket that is valid for one day, offering unlimited travel along a circular route in northwest England. The route takes in West Yorkshire, Lancashire and parts of Cumbria and North Yorkshire and allows you to visit Leeds, Lancaster and Carlisle. You can take the train in any direction, getting on and off wherever and whenever you please.